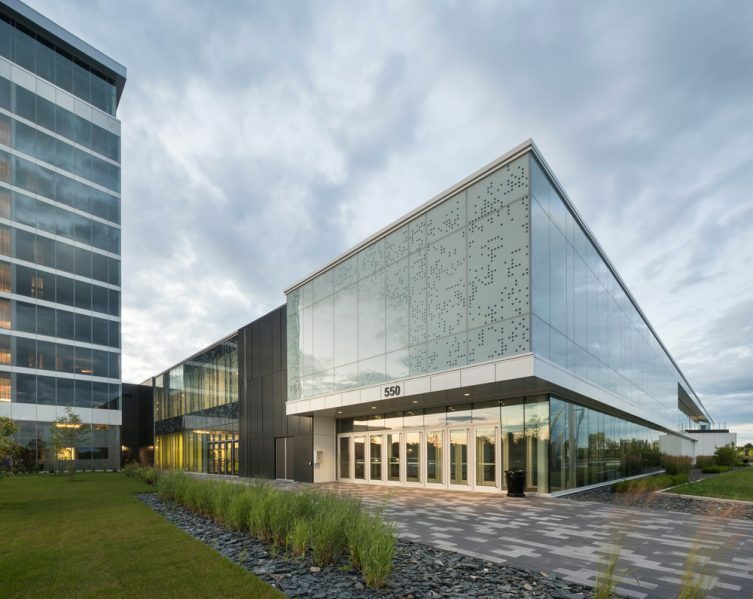 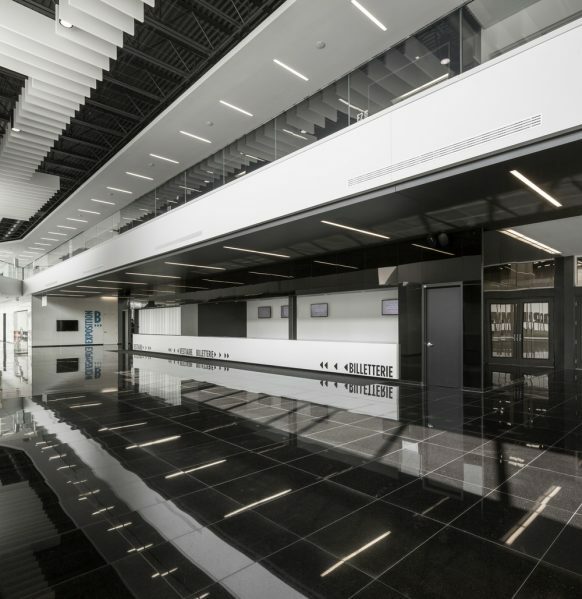 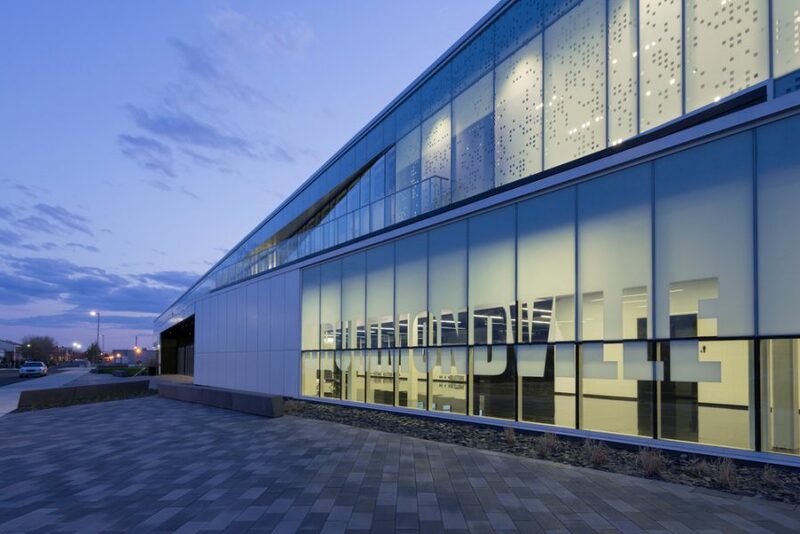 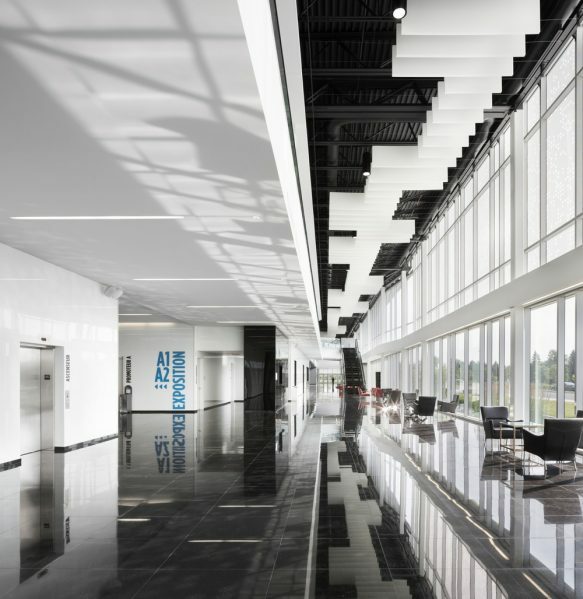 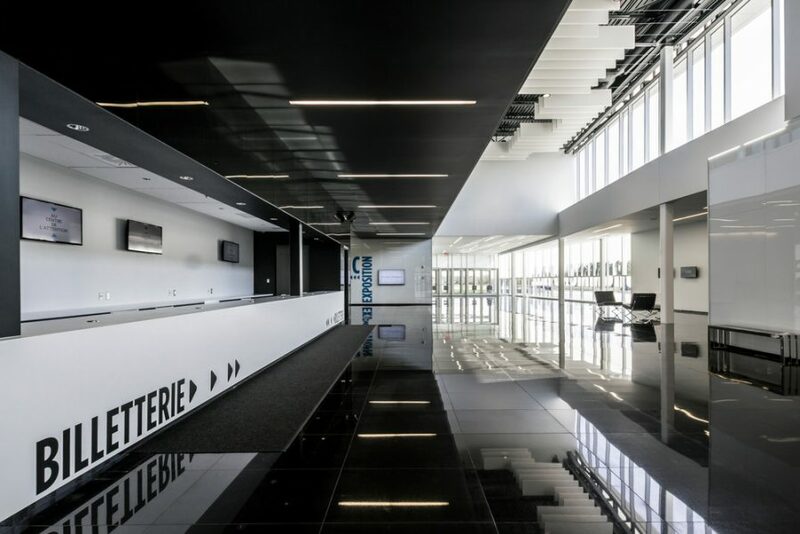 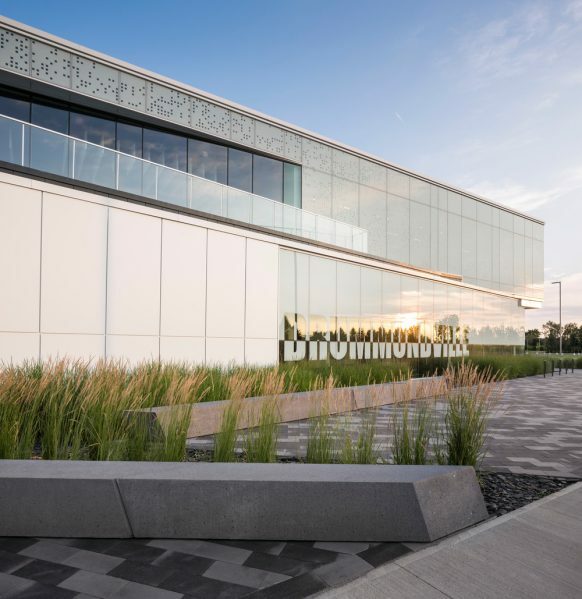 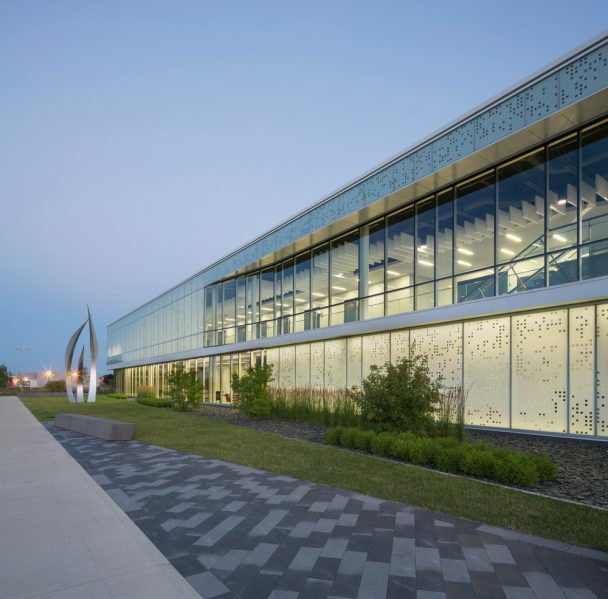 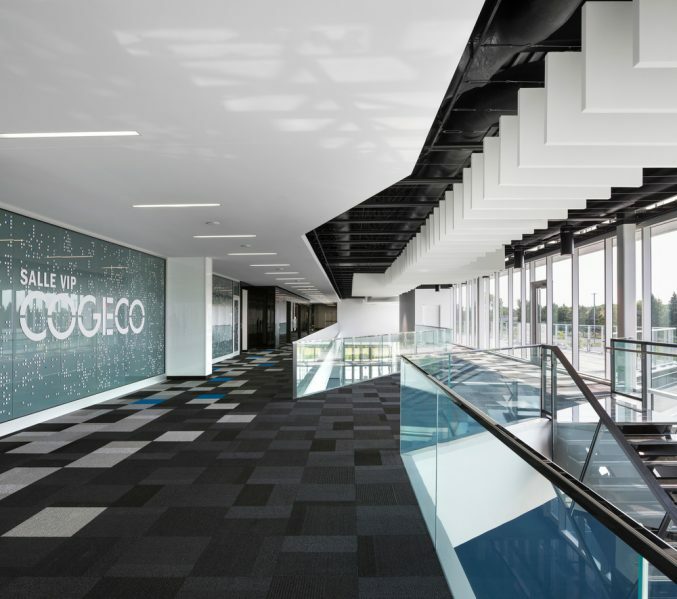 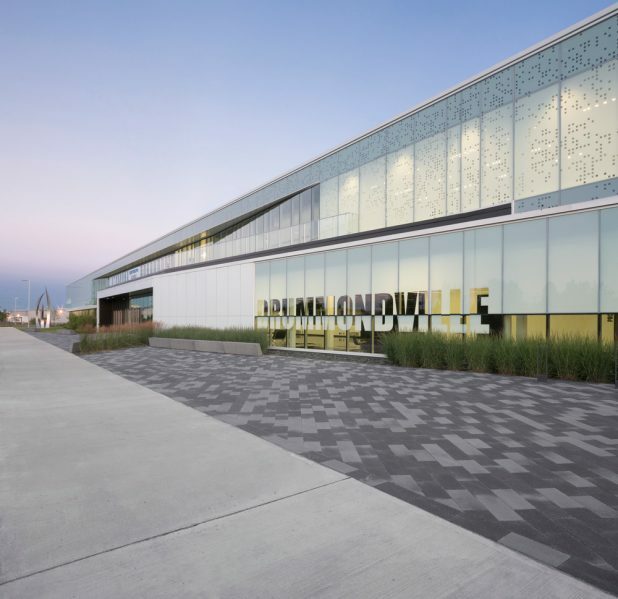 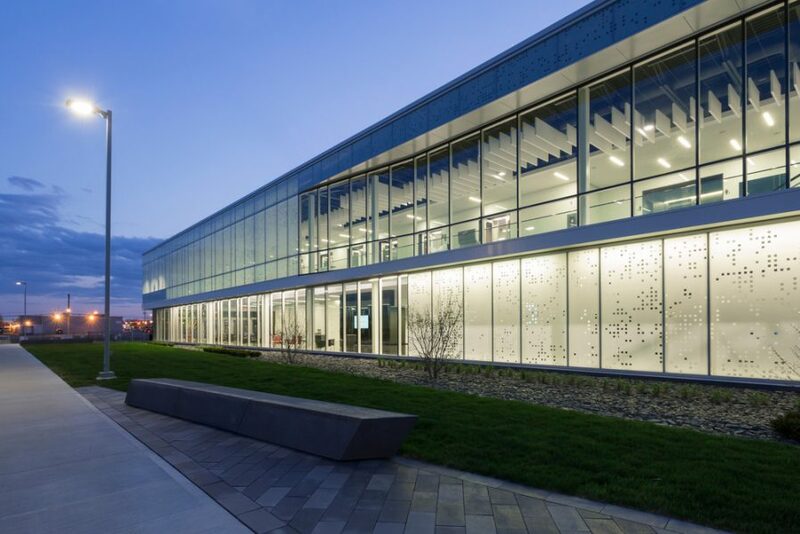 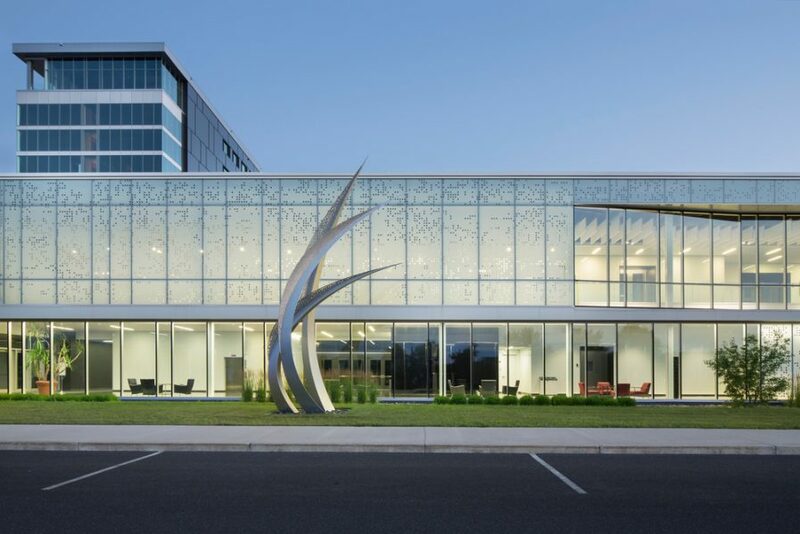 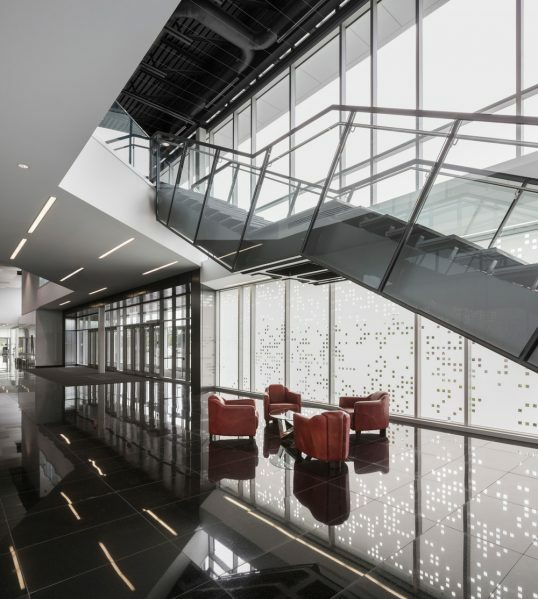 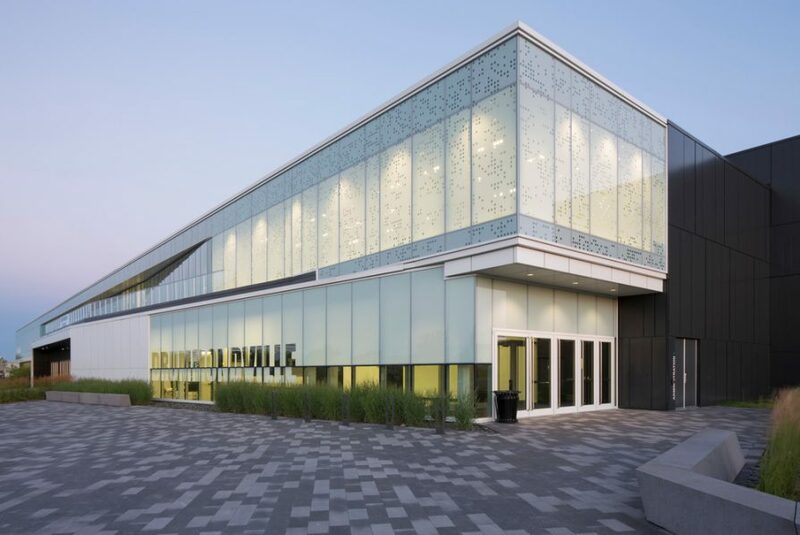 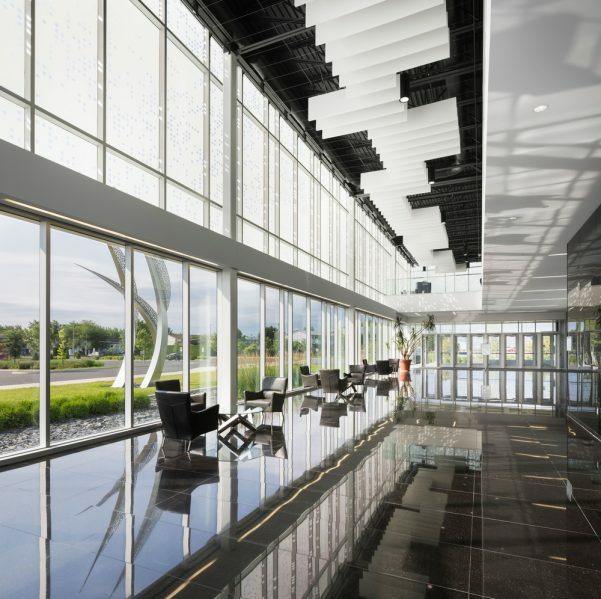 The Centrexpo Cogeco Drummondville by the consortium BCM2 Architectes — formed by CCM2 Architectes and Bilodeau Baril Leeming Architectes — changes according to the time of the day. 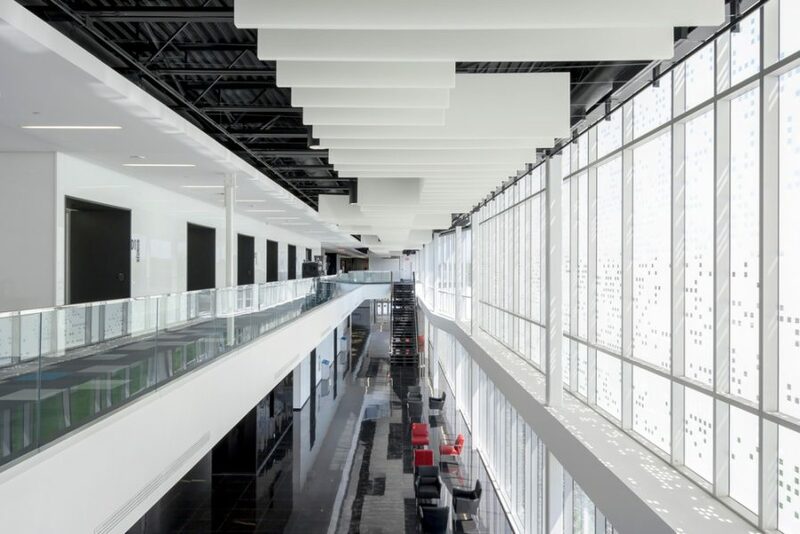 The fully glazed building filters natural light during the day, while at night, artificial light fills the hall and holds on to the translucent glass to make it look like a glowing lantern. 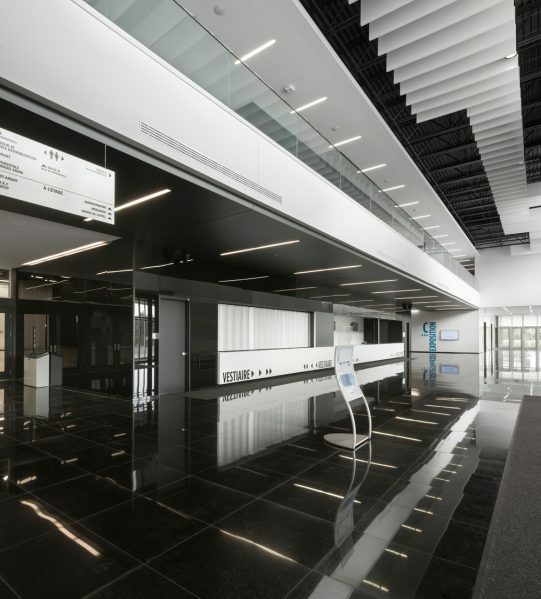 The Centrexpo has an exhibition room, a technical sector to ensure optimal functioning, and a public sector to welcome visitors. 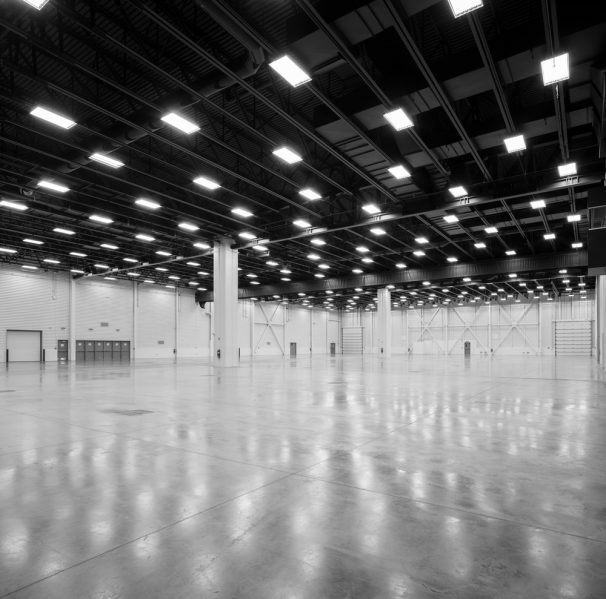 Located on a site historically used for agricultural fairs, the Centrexpo keeps up the spirit of the site: private and public event holding. 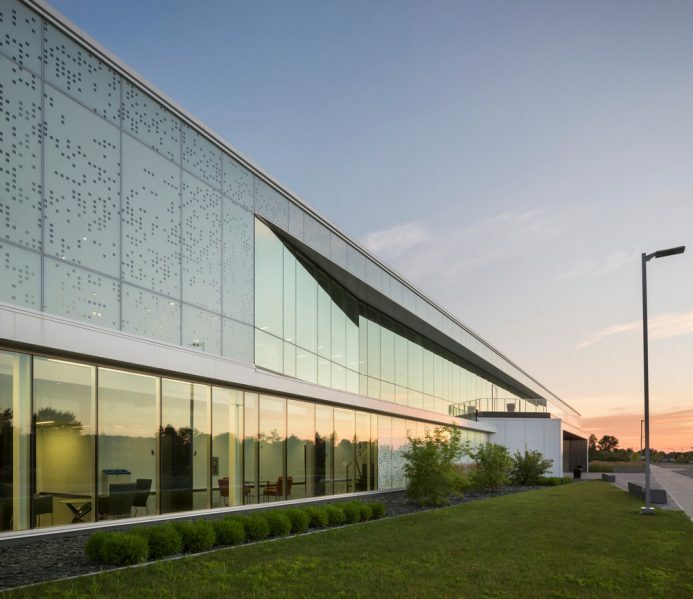 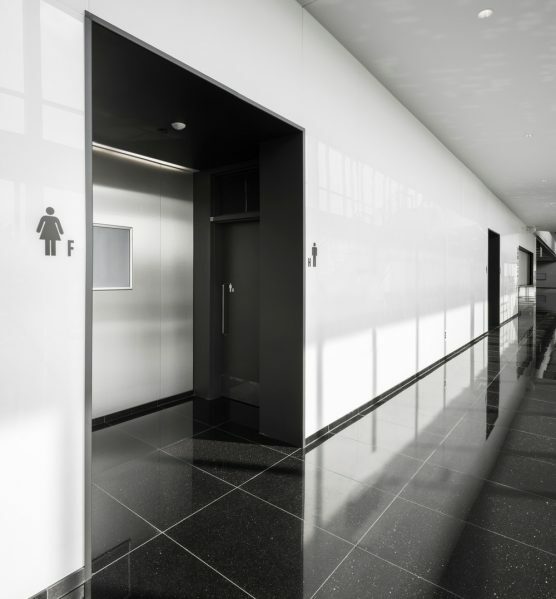 The project won this year’s Grands Prix du Design in the Public Establishment Category.